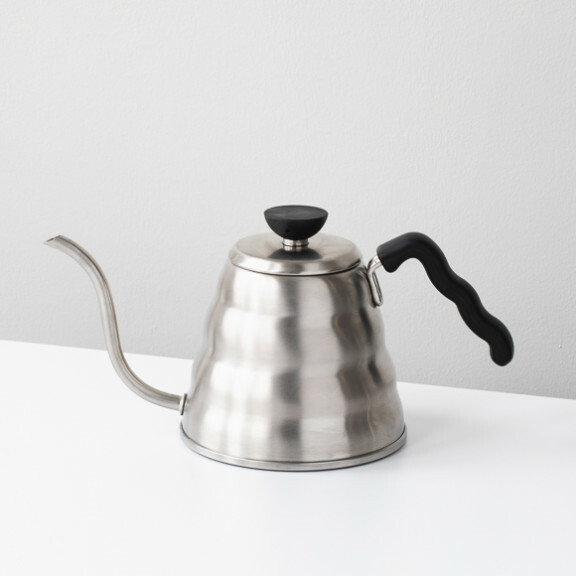 The Hario Buono swan-necked kettle is an indispensable tool for carefully executing pour-over coffee. This kettle works fine on a gas, induction, or electric stovetop. Uncomplicated and charming, it looks great on your stove, and is a pleasant introduction to the challenges of the slow pour. It holds approximately 1.2 liters.